A US General claimed that al-Qa’ida Indian Subcontinent (AQIS) has a lot of interference in Bangladesh. 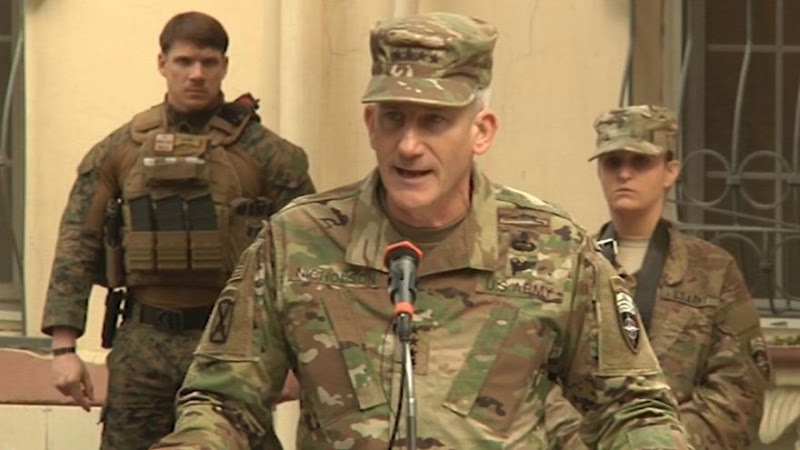 In a February 22 interview with Combating Terrorism Center’s magazine CTCSentinel, General John W Nicholson, Commander, Resolute Support and US Forces-Afghanistan, expressed concern regarding the “instability in Bangladesh”. “With our growing relationship with India, we’re concerned about the instability in Bangladesh, and we’ve seen a lot of AQIS interference in Bangladesh,” the interview article published in the magazine quoted him as saying. Nicholson claimed during the interview that they have seen a lot of AQIS interference in Bangladesh. In support of the claims of AQIS activities in Bangladesh, Nicholson referred to the “congratulatory notes” that were “going back and forth about some of these activities in Bangladesh.” AQIS is said to be the South Asian unit of al-Qa’ida, the terrorist outfit founded by late Osama bin Laden. “There is a linkage to core al-Qa`ida. Of course, al-Qa`ida is very focused right now on the survival of their senior leadership, but they are connected to these guys as well. They all share the same agenda and the same focus,” the US military official added. The Combating Terrorism Center is an academic institution at the United States Military Academy (USMA) in West Point, New York that provides education, research and policy analysis in the specialty areas of terrorism, counterterrorism, homeland security and internal conflict.